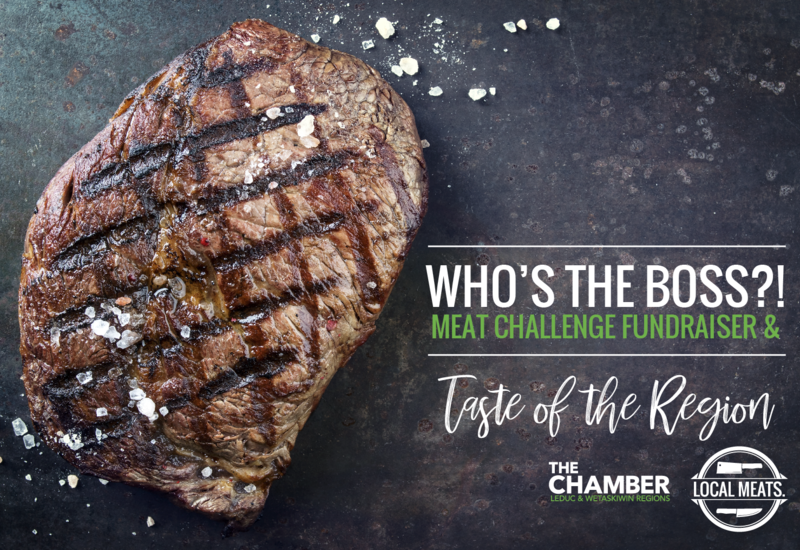 JOIN US along with Local Meats to see who is the "BOSS" when it comes to steak--and charity! Attendees will get to TASTE THE REGION as they enjoy delicious food and drink samples showcased by regional restaurants and food makers. While the "BOSSES" will attempt to eat a 48 oz. steak meal in an hour, vying for votes from attendees, and ultimately winning the cash grand prize for the LOCAL CHARITY of their choice! $30.00 Members * Members in Wetaskiwin please call to register.